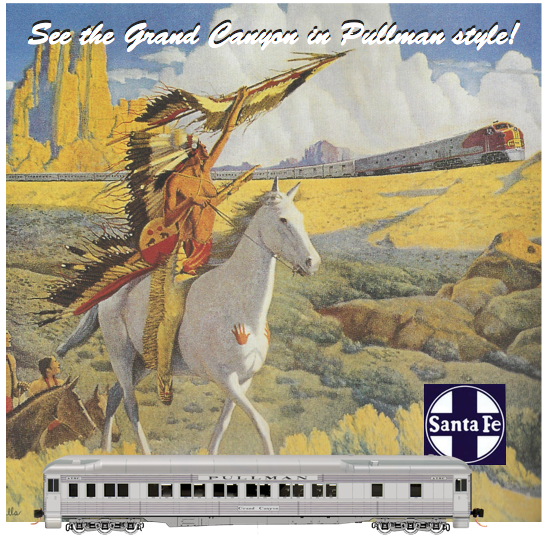 Produced by Micro-Trains, this heavyweight sleeper is decorated in the Shadow Line paint scheme that was applied to older cars allowing them to blend into a streamline passenger consist. There are two road names available. See also the Death Valley ATSF car.